Yeti which means mountain man in Nepali is an ape like creature taller than average human believed to be in the Himalayan mountains.The question of whether "Yeti "really exist still remains a mystery. Here are some facts about one of the greatest mysteries of the world. 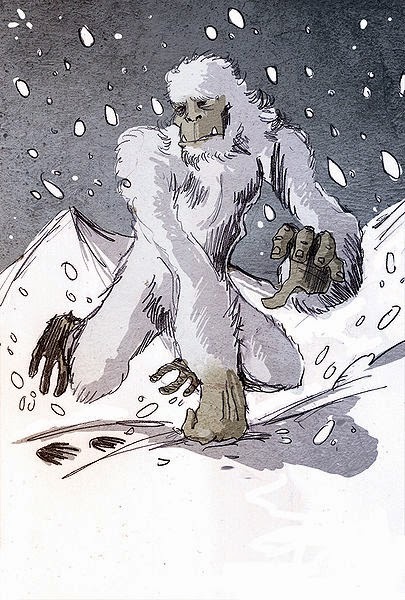 Stories of Yeti first emerged in the 19th century . Records about Yeti appeared in the accounts of B H Hodgson and Laurence Wadell. In the 20th century frequency of reports increased, the most prominent of that being of N A Tombazi (photographer) .According to him he saw a human like creature for a minute at about 15000 ft near the Zemu glacier. Edmund Hilary and Tenzing Norgay in 1954 reportedly saw large footprints while scaling mount everest. 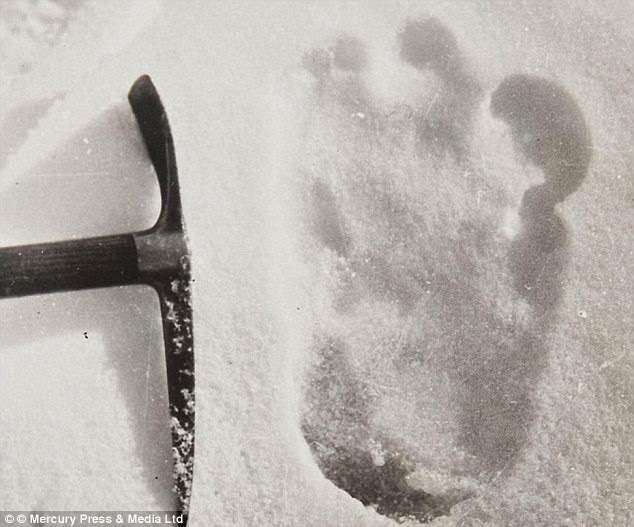 Picture of footprint taken by Eric Shipton widely regarded as an evidence of the existence of the creature. Dr Brian Skykes on 2013 told that the hair samples may be of a hybrid species produced by mating between Brown Bear and Polar Bear.